In August Defected will host its first full festival at the Garden Resort in Tisno on the Adriatic coast. The festival is set to bring five days of pure house hedonism to this spot with a line-up of artists and DJs, featuring underground artists together with bigger-named DJs for a week of music. 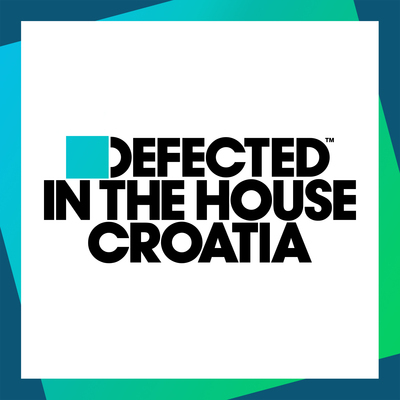 The label’s forthcoming release ‘Defected In The House Croatia’ represents what the festival will be all about. The compilation is in three parts, each mixed by a producer from the Defected family that is possibly making waves in the house music world right now - Kai Alcé, Crookers and Dario D’Attis, who are all key players on the bill for Defected Croatia. The mixes include a balance of tracks like these along with lesser-known cuts chosen especially for this compilation, giving an insight into their DJ selections and the artists they are currently rating. Club favourites ATFC, Tommy Bones, Dennis Ferrer, Kerri Chandler and Kings Of Tomorrow tracks are also in the album, mixed by the producers who represent Defected’s sound.